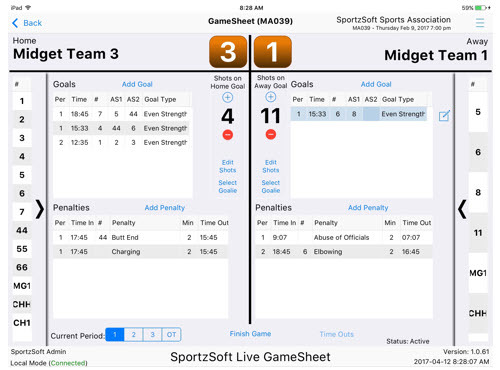 SportzSoft Live GameSheet provides game sheet scoring for sports games managed by the SportzSoft system. 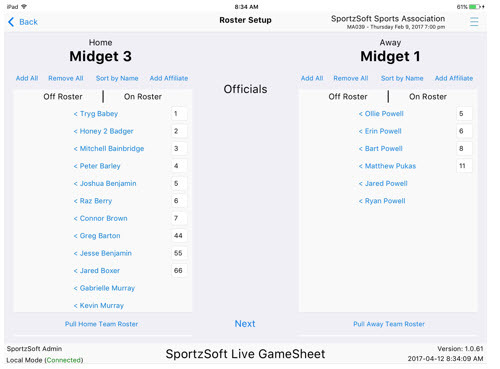 Set game rosters, add goals, record penalties, track officials, and record goalie stats. The app supports fast game sheet entry in an offline mode such that an internet connection is not required. Game data is prepared before the game by pulling from the SportzSoft server database, and then posted either live during the game or after the game when an internet connection is available. 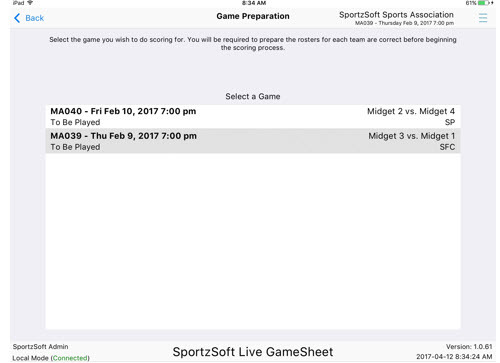 Only known accounts within the SportzSoft server system will be able to obtain access to prepare, score and upload game sheets. Coaches and managers login to the system and can only access the games that their team is playing. Game rosters are updated from team rosters and specify exactly which players are playing in the game. As the game is being played, goals, assists, penalties and shots on net are recorded quickly and easily. Panels pop out to provide quick selection of players for goals and penalties, or a list of penalties.